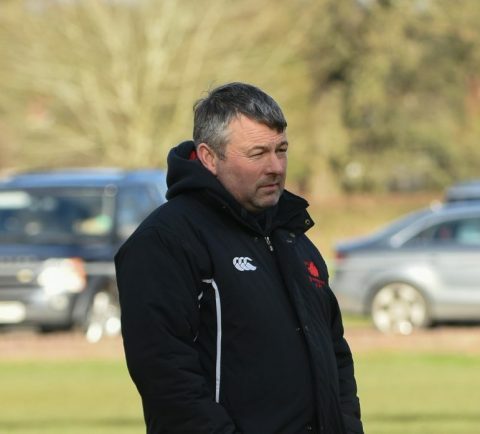 HARD-to-please boss Dan Protherough insists Bromsgrove must get into Moseley Oak’s faces quickly this weekend to stand any chance of maintaining their 100 per cent Midlands One West winning record. Table-topping Boars welcome fifth-placed Moseley to Finstall Park on Saturday hoping to make it eight wins out of eight since their relegation from National Three South West last term. Having said earlier in the campaign that home form could be key to securing promotion, Protherough told the Standard its important to put Moseley under pressure from the off. 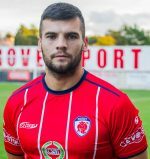 Andreas Antoniou, who has flown to Cyprus for a couple of weeks,will miss the game while Matt Sprigg is to come back into the fold. “We are going to be in for a really tough game as Moseley have plenty of pace and power,” he said. “There is no doubting that we are going to have to be at our best to come away with the win. “And it is important we try to get at them and start the game well because in recent weeks we have been quite sluggish. Bromsgrove go into the Moseley clash on the back of Saturday’s 26-12 victory at Derbyshire outfit Melbourne. Ollie Bache opened the scoring for the Boars before Chris Hooper and Josh Holt also crossed the line with James Upton kicking all three conversions as the visitors went into the break 21-7 up. Bache then crossed the line again to secure a bonus point try which was not converted. Despite the victory, Protherough admitted he may have to change his pre-match tactics in a bid to get his side starting games better. “When we have these long away trips we are too sluggish getting off the bus,” he said. “We did not start brilliantly on Saturday in the tough windy conditions and we allowed them to control the ball. “However, we were much better in the second half and overall I was pleased with the result.